During the winter months when it’s too cold to open the windows, it can be hard to keep our homes smelling sweet. If man candles seem so ‘last season’ then bagging a Timothy Dunn diffuser could be the simplest way to delicately fragrance your abode. 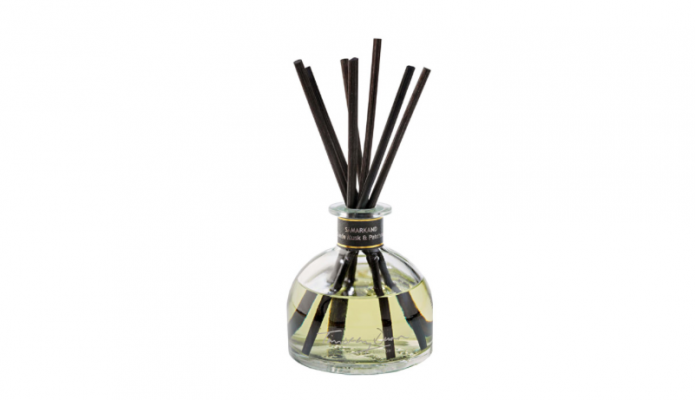 These scented sticks require no burning, and by simply removing or adding reeds you can control the power of the scent, which make them perfect for a studio flat or mansions. On a cold winters day a Timothy Dunn Home Diffuser will not only delicately infuse your mancave, it will also take you on an olfactory journey. Samarkand (our current favourite at Grooming Towers) brings the welcoming warmth of Madagascan Vanilla, Bergamot and rich, sensual spicy Wood to create an evocative Middle Eastern feel in the heart of Central London – what more could you ask to greet you as you slink in through the door on a weary Friday afternoon? !